Several Century 21 High Desert affiliates have been named by the company’s corporate office to the top 20 producing sales agent and teams in the Rocky Mountain region for 2015. The rankings were determined by sales production and closed transaction sides among the region’s top award winners. The Rocky Mountain region covers Idaho, Wyoming, Montana, Utah, and Colorado. The following affiliates were named: Ted Whyte, Kevin Taggart, Patrick Malone, Luke Stallings, Marge Foster, Karen Cameron; and Synergy Group, Anne Mitchell and Beth Ferrara. 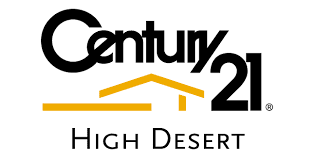 “These agents managed to surpass even these standards of excellence to provide their customers with exemplary service and we are very proud of them," said Kerry Howell, owner of Century 21 High Desert, in a news release.